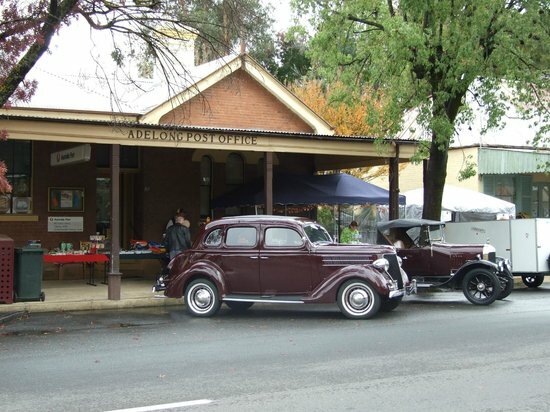 Adelong is a charming and historically important town nestled on the bank of the Adelong Creek. 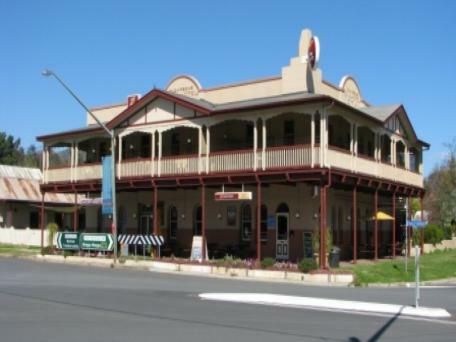 The main street is classified by the National Trust (NSW) with some buildings dating back to the gold rush. 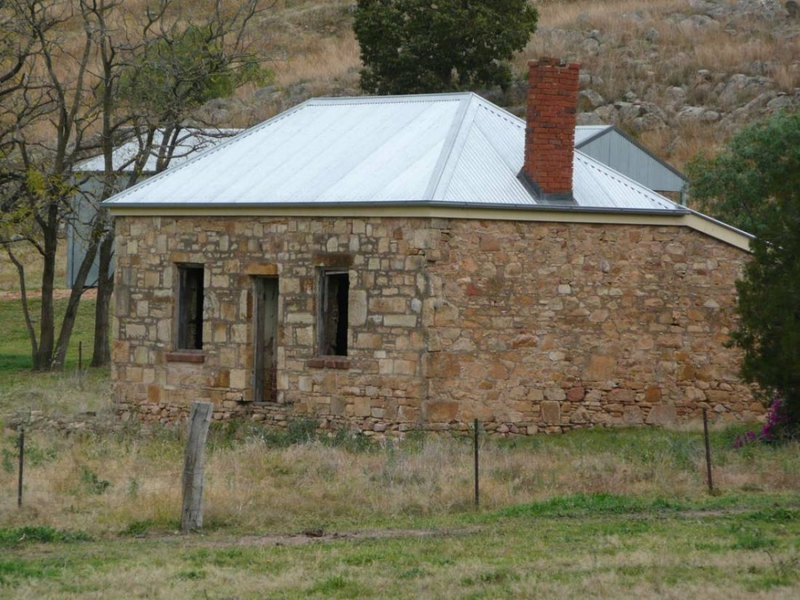 Take the heritage walk around Adelong’s historic streets to see the many interesting and National Trust-listed buildings including a single-storey private house on the corner of Havelock Street – built in 1873, it is a rare extant example of a miner’s cottage. 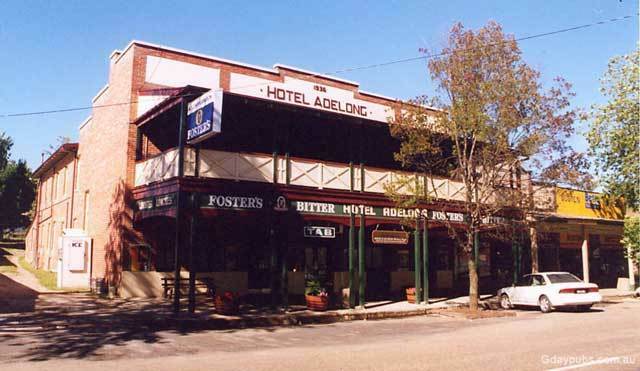 The Adelong Heritage Walk takes about an hour and passes most of the town’s interesting and National Trust-listed buildings. 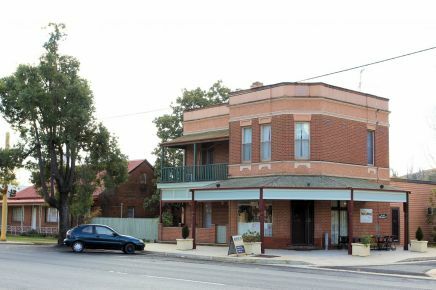 The starting point is at the Royal Hotel on the corner of Campbell and Tumut Streets (Tumut Street has been classified by the National Trust) at the Tumut end of town. The Royal is the oldest hotel in town and is a typical country pub with a characteristic wide veranda. On the opposite corner is the Bank of New South Wales, built in 1882. It is a two-storey Classical Revival bank built of sandstone bricks and with a cast-iron and timber veranda and balcony. It oozes prosperity as the town was rich from the surrounding gold mines at the time of its construction. The walk proceeds along Tumut Street passing the Hotel Adelong, the Post Office (1886), the Apex Park and The Old Pharmacy (1877). On the corner of Havelock Street is a single-storey private house which is a rare extant example of a miner’s cottage. It was built in 1873. In Havelock Street is St Andrew’s Presbyterian Church which was built in 1878. In Lockhart Street is the Wesley Uniting Church, built in 1886. The site had been used by Methodists since the beginning of the goldrushes. 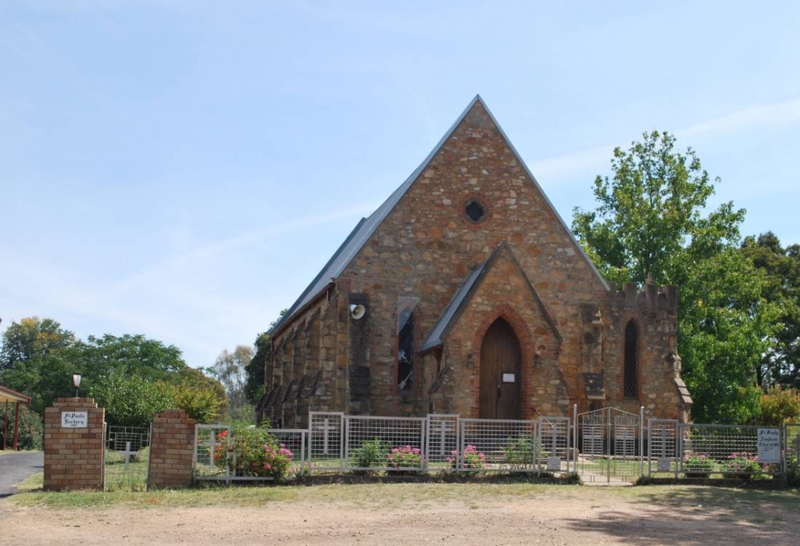 Services were held there as early as 1853 and a simple church was built on the site in 1866. 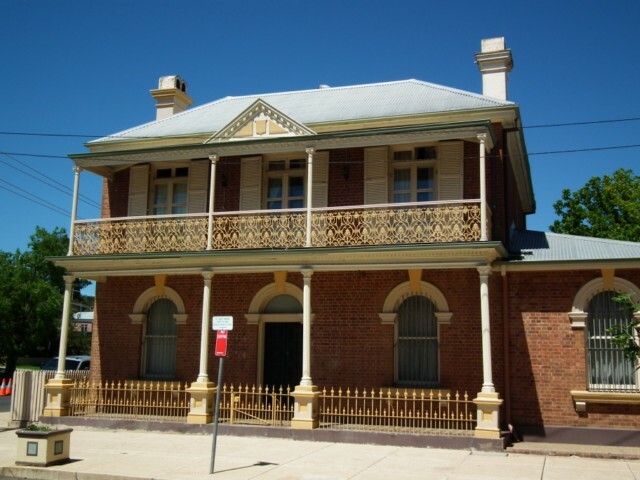 Campbell Street is the setting for the Police Station and the Court House which were both built in 1874. 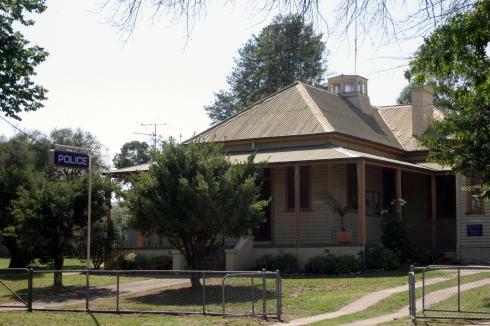 On Gilmore Street the Adelong Public School (1877), with its church-like main school building and steep gables, has been listed by the National Trust. In Gundagai Street, St James Catholic Church dates from 1862. 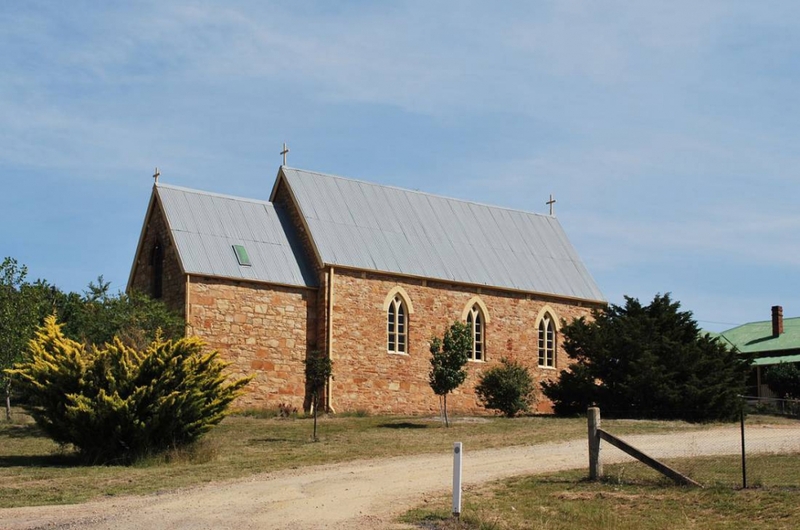 It was consecrated in 1868 by Bishop Polding, the first Catholic Archbishop of Australia. From the Catholic church it is only a short walk back to the Royal Hotel. A brochure and further information about the Adelong Heritage Walk can be found at the Tumut Region Visitor Centre is situated at the intersection of Gocup Road and the Snowy Mountains Highway, Tumut.